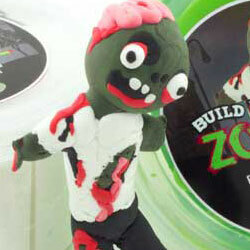 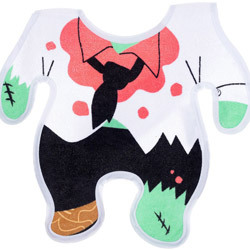 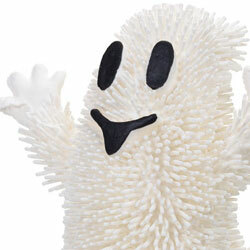 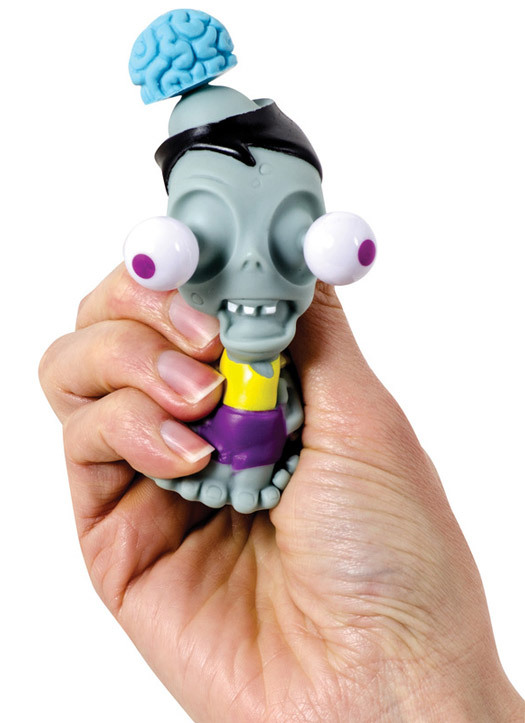 Squeezable zombie toy with bulging features. 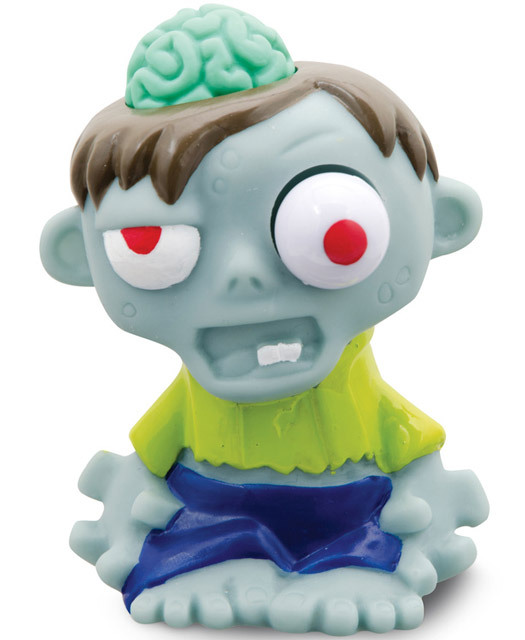 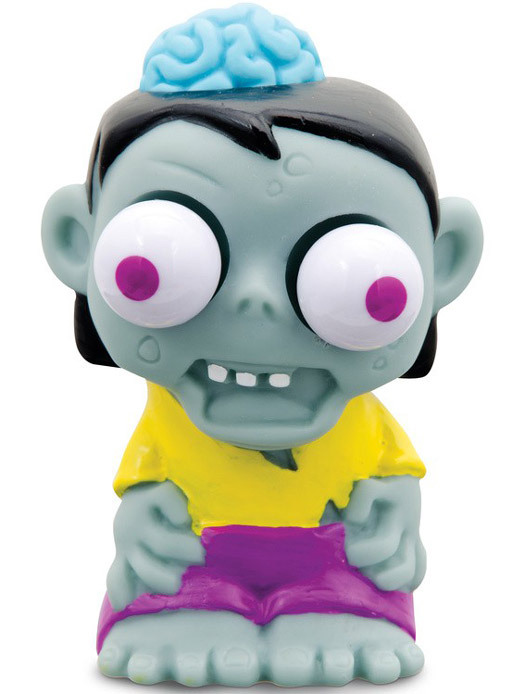 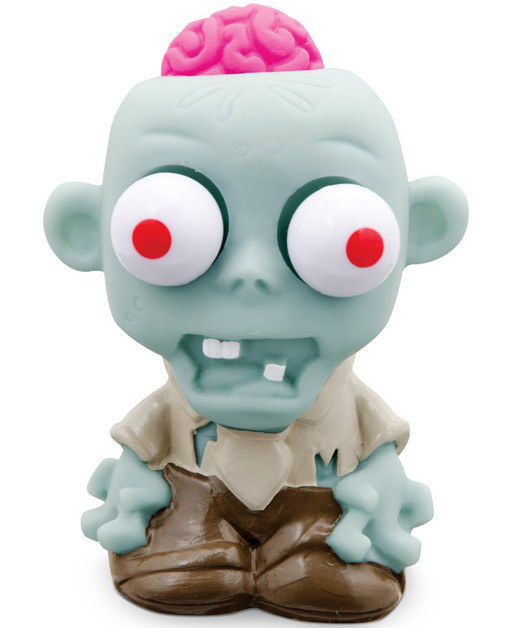 Squish this soft zombie figure and its eyes and brain will pop out, only returning to their original positions when your grip is released. 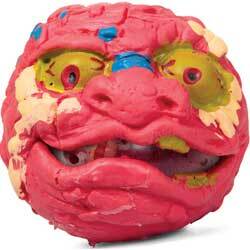 It's a fun and quirky alternative to a stress ball.